▶ SoldThis listing was sold on Nov 3, 2017 for the price shown here. 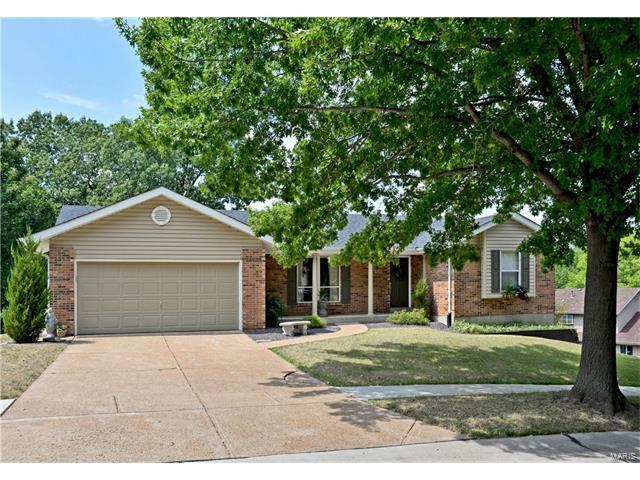 Attractive, well maintained Oakville ranch home featuring 3 beds, 2 full baths, .24 acre lot, 2 car garage, & new 2017 roof. Past the covered porch, parquet flooring welcomes you into the entry foyer & to your left lies the open layout LR & DR beneath a vaulted ceiling. W Neutral Décor, the LR is bright & airy. DR is finished w chair rail molding & is conveniently serviced from the adjoining KT. Boasting hardwood floors, the eat-in KT’s décor includes glazed flat panel cabinets, finished w crown molding & under cabinet lighting, & complimented by a stone & glass tile backsplash w granite counters. From the KT there is access to the deck overlooking the pool, a perfect spot for summer BBQ! Master Bed features a double door closet, serviced by a private full bath w a skylight. ML also boast 2 addtl beds; serviced by tiled hall bath. LL has plenty of space for both media, game & office! Features a T-Shaped FR w a walk-out to the deck and pool! LL also has a laundry/storage/workshop area.